The app began as Word Lens, an augmented reality (AR) project by Quest Digital that was free to try, but required a purchase of $5 language packs to be of any practical use. 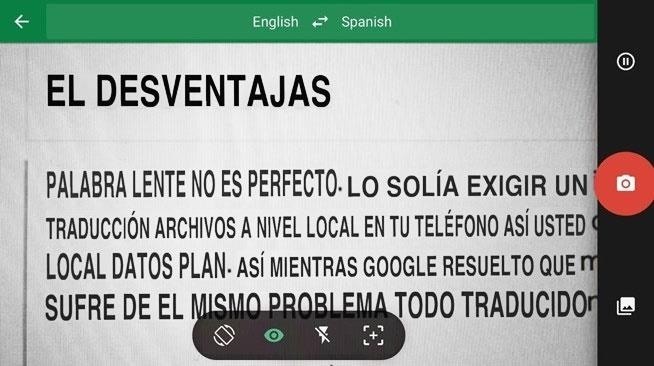 Google later acquired Word Lens and now the technology exists as a part of the Google Translate app on iPhone, Android, and Google Glass—and it's completely free to use. When I first saw Word Lens back in 2010, I couldn't believe it was already possible. You open the app, pick the languages you want to translate to and from, and then just point the camera at any typed text to see the translation. While "instant" might not be a technically accurate description, the app processes the change so fast that it might as well be. Signs and even documents change right before your eyes, making it easy to understand the world around you even when you don't speak the language. To give it a whirl, launch the app on your phone and tap the camera icon, indicated in the image above. The languages default to an English-to-Spanish translation, so if you'd prefer something else, tap the languages up top to change them. When you tap the camera, you'll see a screen like the one above showing you what your camera sees. Point it at some words and watch them change right before your eyes. If you want to save a specific image, tap the red camera button to snap a photo. That's pretty much all there is to it. It doesn't even require an internet connection to function! Google stores translation files locally on your phone so you can travel abroad without the need to sign up for a local data plan and download them. Word Lens isn't perfect. 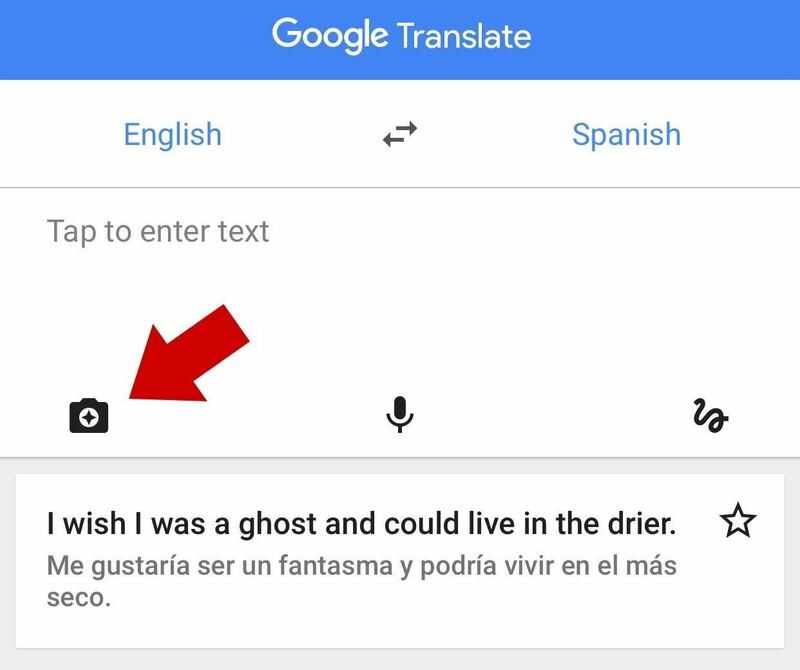 While Google solved that major downside to the original Word Lens app—the cost—it still suffers from the same problem all translation apps do: they're rarely 100% accurate. Take a look at the screenshot above. If you speak Spanish, you might recognize it sounds a little like what you're reading in this article. You'll probably also notice that translation isn't perfect, especially in the grammar department. Despite the errors, the app will help you can gain a general understanding of what you're reading. You just need to take its strengths into account and not expect too much. You shouldn't use this live translation feature on a lengthy article (like I did on this one in the screenshot above). It works best with signs and short blocks of text you might encounter when out in the world. Furthermore, live translation with word replacement is a pretty complex task for a phone. Google Translate will often look a little hyper and jumpy when swapping out words because you can't ever hold your phone completely still. Where there's movement, there will be text fluctuation. If things are too unstable in live mode, just snap a picture and you won't have to worry about it. Overall, these downsides are greatly outweighed by the incredible usefulness of the app. As technology progresses, we'll end up with more accurate translations and less wobbly replacements. For now, though, it's still pretty incredible. 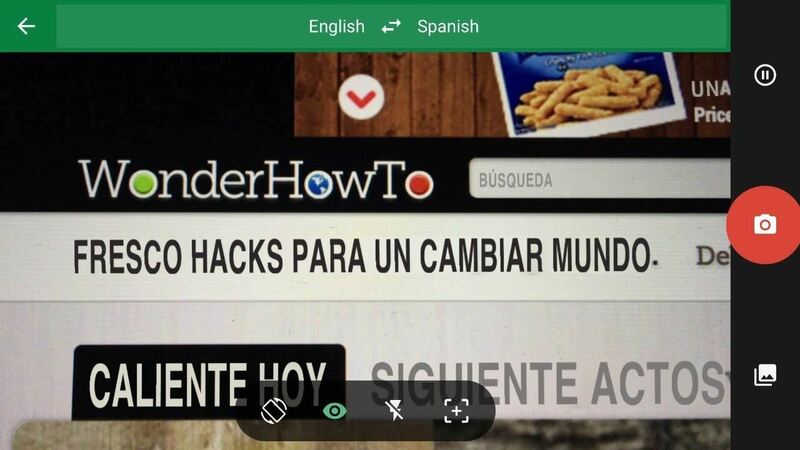 Google Translate is a free app available for download on iPhone, Android, and Google Glass. You can click those links to view the download page, or you can just search the app store on your iPhone or Android to get it straight from your device.